2017 GMC Sierra 1500 2WD Double Cab 143.5"
Trim: 2WD Double Cab 143.5"
Check out this 2017 GMC Sierra double cab 2wd pickup. With only 2k miles, this is like buying a new truck at a pre-owned price. Equipped with a 5.3L V8 engine, this 1-Owner truck has a Clean Carfax and is ready for the road with its stylish 20" Black Matte Wheels. Featuring a Backup Camera, Spray-in Bedliner, LCD Display Screen and Cruise Control. Give one of our Sales Professionals a call Today at 251-578-1992. 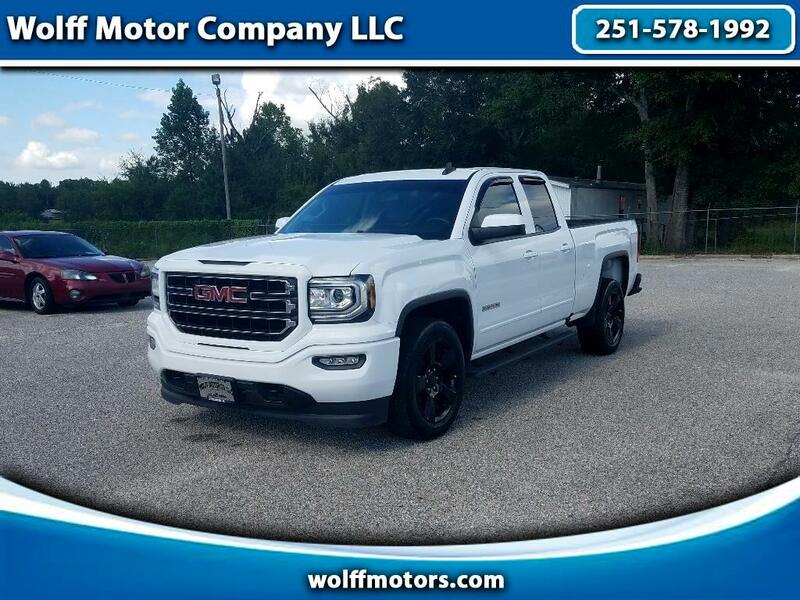 Vehicle Inquiry for 2017 GMC Sierra 1500 2WD Double Cab 143.5"